Because I watched the Catching Fire and Mockingjay Part 1 film adaptations without reading the books, I decided to go back to the start and read The Hunger Games. 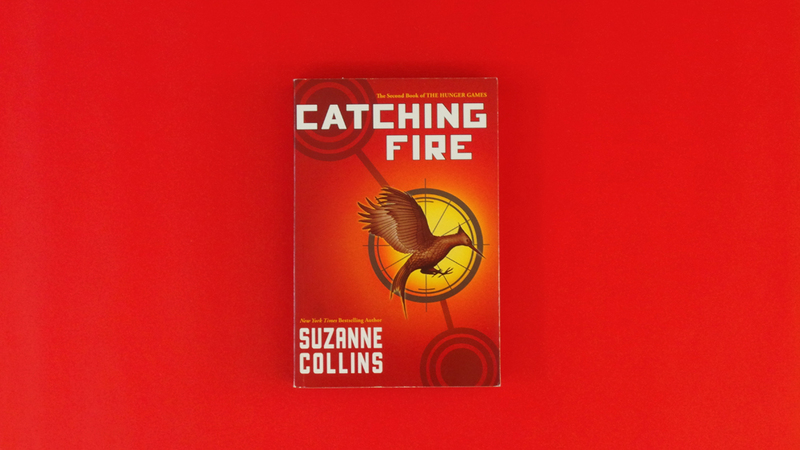 And while The Hunger Games is light and lovey-dovey (in spite of pitting 24 children against each other in a fight to the death), Catching Fire takes on a darker tone that becomes the spark to a revolution. As Katniss Everdeen and Peeta Mellark emerge as victors in the 74th Hunger Games, an annual and televised fight in a controlled arena, those living in the oppressed districts take Katniss’s final actions in the arena as a sign of defiance, even if she had other motives. Katniss unwittingly becomes the face of a simmering rebellion she can’t control. To silence her, the Capitol holds something special treat during the 75th Hunger Games. She’s going back in the arena. The political subtext I mentioned in my “review” of The Hunger Games gets even stronger in Catching Fire. Here, the call to revolt is heavier. But what I do like about The Hunger Games trilogy is that it doesn’t paint Katniss as a hero. She is reluctant and takes the role of Mockingjay (the symbol of the rebellion) with her own agenda. After all, she is a 17 year old girl. It’s hard to write a “review” of Catching Fire when I’ve already finished Mockingjay, but the second book serves as an excellent transition to the climax of the trilogy. I already can’t wait for the final installment of the film series. I wonder if I’ll cry the way I did in Harry Potter and the Deathly Hallows Part 2.